Federal judges continue to support efforts to save vaquita species by restricting commercial fisheries using gillnets. WASHINGTON, D.C. — A four-month ban on Mexican seafood imports, specifically those caught in the Gulf of California by commercial fisheries using gillnets, was upheld by a U.S. Court of Appeals for the Federal Circuit, it was announced in late November. The ban, which applies to shrimp and other seafood caught in the northeastern Baja California region, was ordered as part of a preliminary order aiming to protect the vaquita, a marine mammal species found exclusively in the Gulf of California region, from extinction. It was the third time the seafood import ban was upheld as part of an ongoing appeals process. Conservationists and environmental groups certainly welcome the upholding of the seafood import ban. At least one person, however, wrote to The Log and stated the seafood import ban is misdirected. “This embargo is poorly designed, as gillnets for those products are banned already and the current threat to the vaquita is the totoaba, and it is not addressing that, instead putting pressure on legal fishers,” Rafa Ortiz, a marine biologist in Mexico, wrote to The Log on Twitter in September. The U.S. Court of Appeals for the Federal Circuit, nonetheless, maintained the seafood import ban for certain Mexican-caught items. 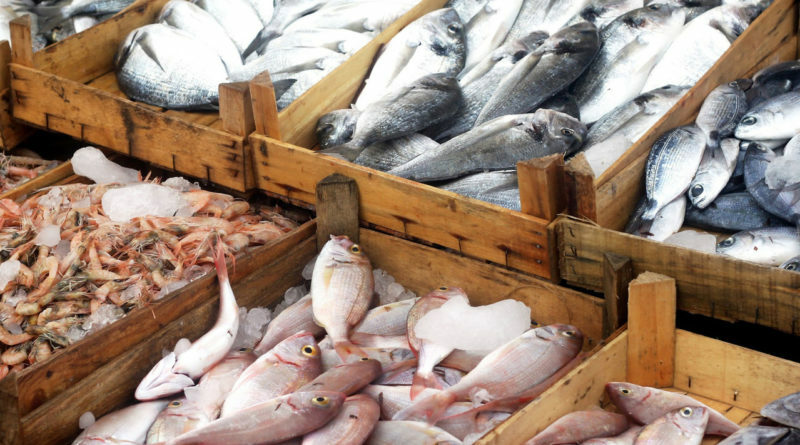 The Trump administration sought to have the seafood import ban “stayed,” but the aforementioned appeals court stated the government did not meet the legal standard to reverse the recent rulings in favor of the groups who sued federal officials. Those groups are the Natural Resources Defense Council (NRDC), Animal Welfare Institute and Center for Biological Diversity. Most of the vaquita population has been lost within the past 20 years, mostly due to use of gillnets in the Gulf of California region. There are fewer than 30 vaquitas remaining in the world, according to the most recent estimates. The vaquita, at its current death rate, could be extinct within the next few years, as The Log has reported several times recently. Conservation groups, of course, have urged the United States to rely upon laws it already has on the books they believe could potentially help save the nearly extinct species. Preventing the extinction of the vaquita has also garnered international attention. UNESCO, for example, contemplated but didn’t go forward with an “In-Danger” designation for the marine mammal species.